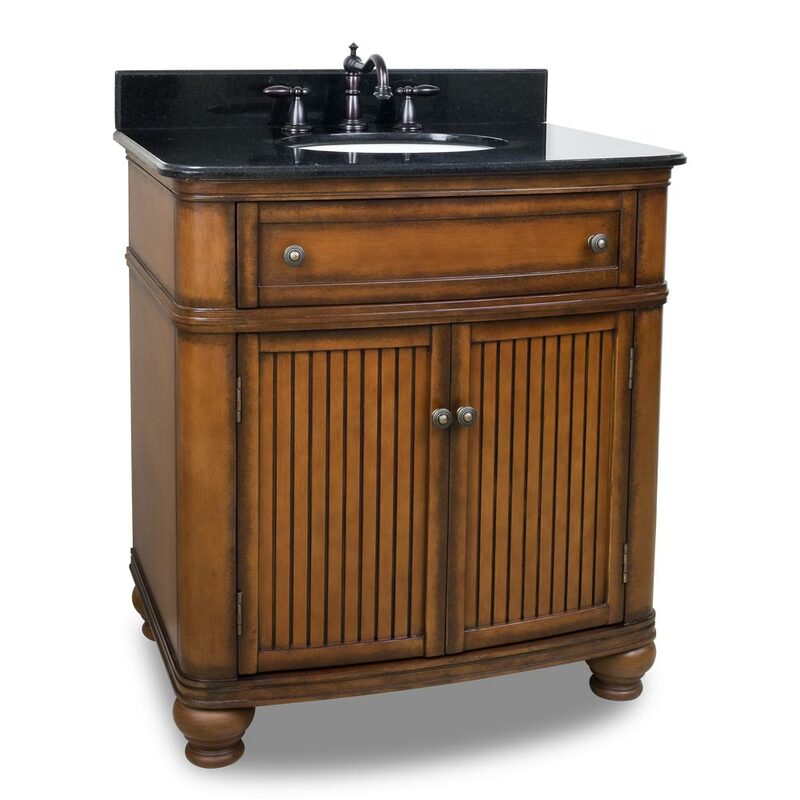 The 32" Venice Single Bath Vanity is a handsome, traditional furniture piece that is ideal for those with a timeless sense of style. 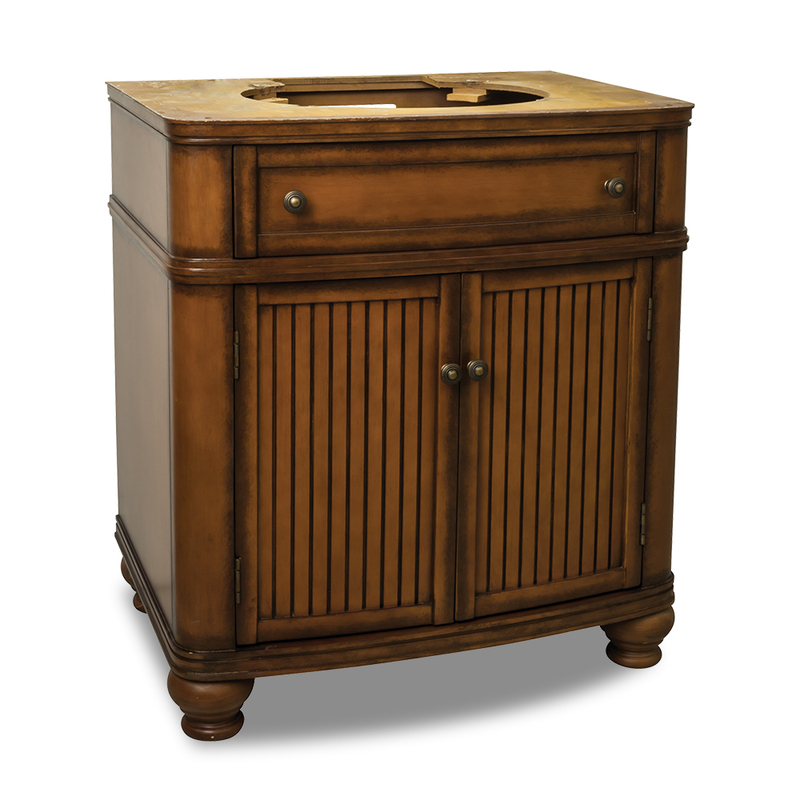 Nothing beats its beadboard doors, round knobs, and round legs. 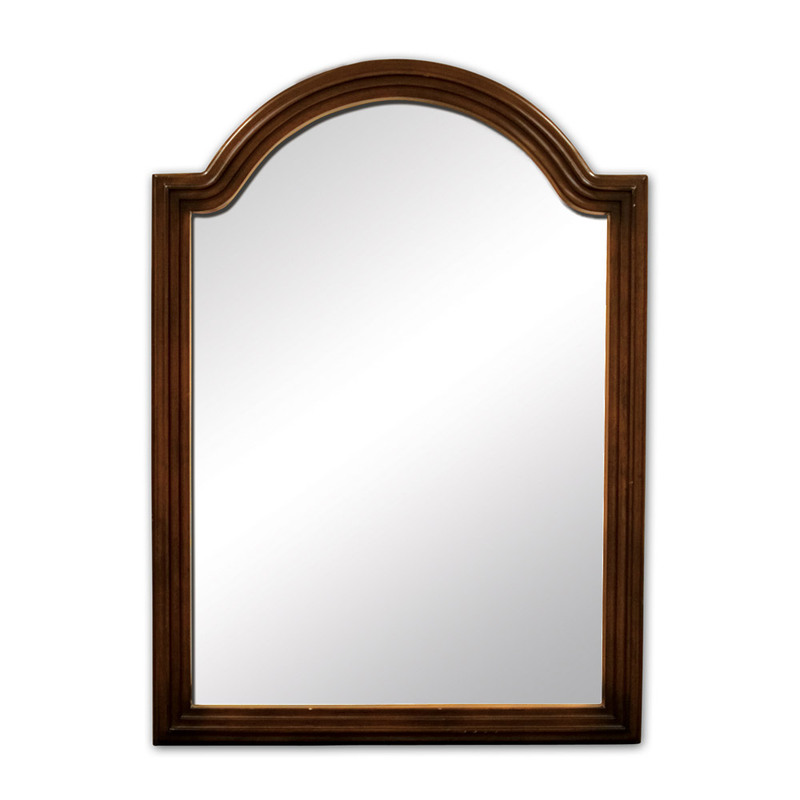 The walnut finish is hand applied, giving each Venice a unique character. 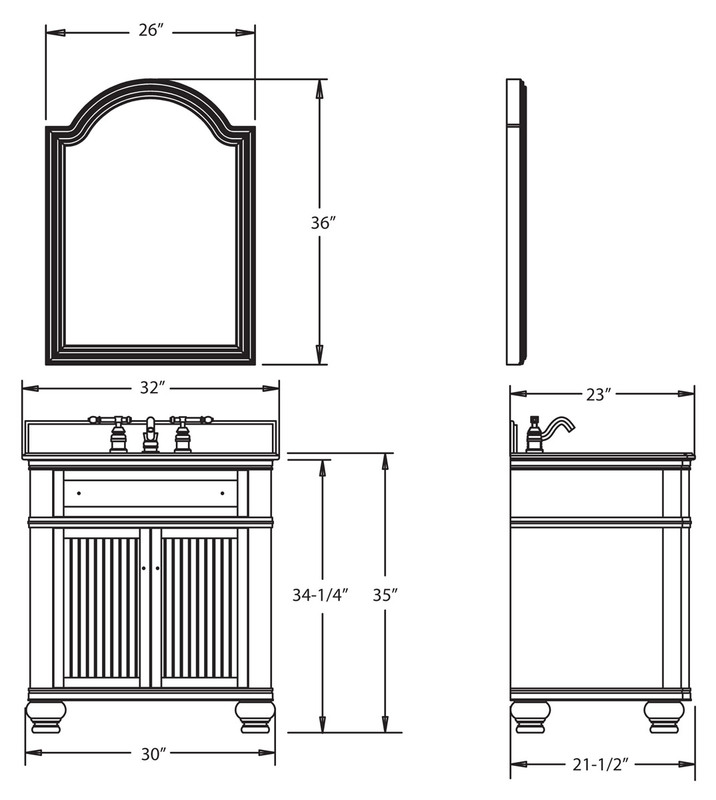 For all your storage needs, it features a working top drawer and interior drawer located inside the double door cabinet. 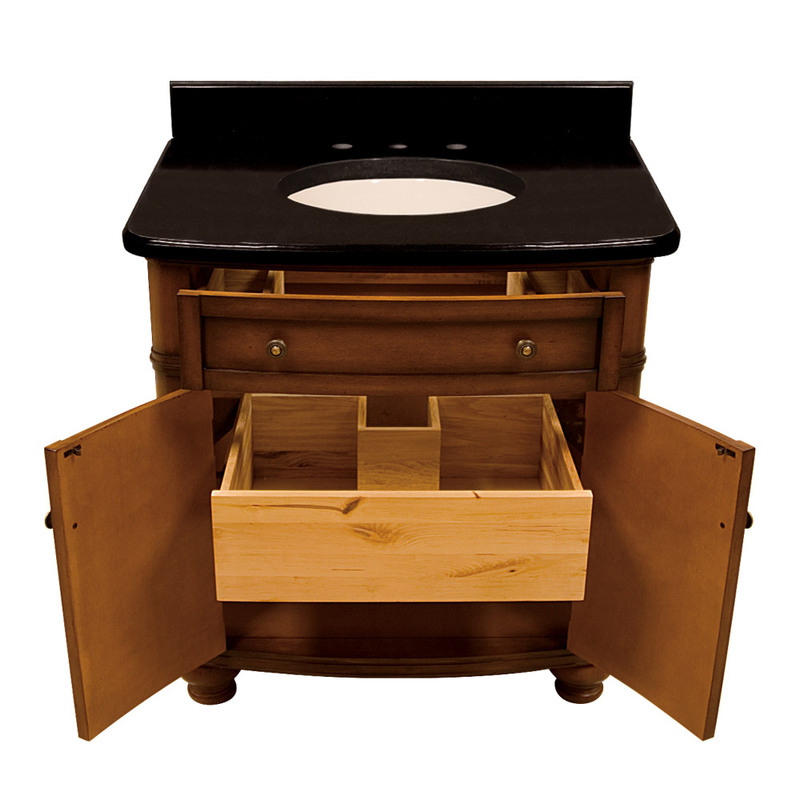 The striking black granite top includes an undermount porcelain sink and backsplash, although faucets are sold separately. 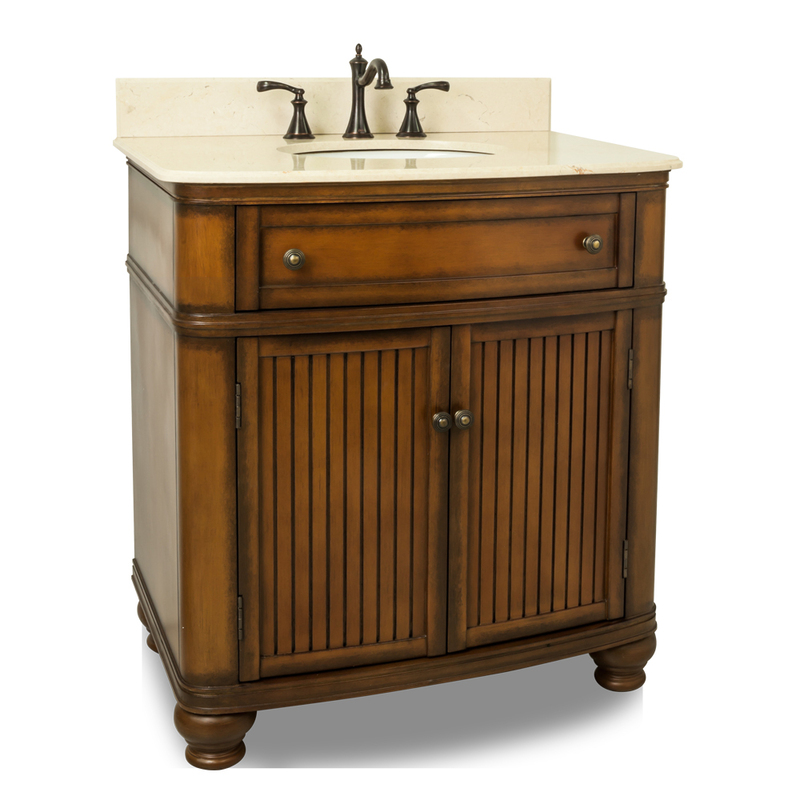 Combine this piece with a matching mirror from the drop-down menu, and your bathroom will have a tied-together look.